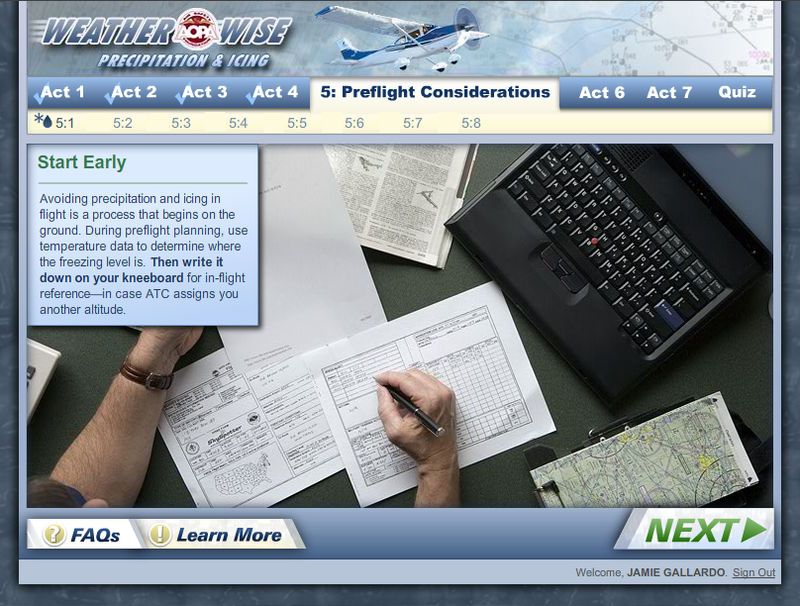 Interactive e-learning course designs for continuing education in the field of aviation. 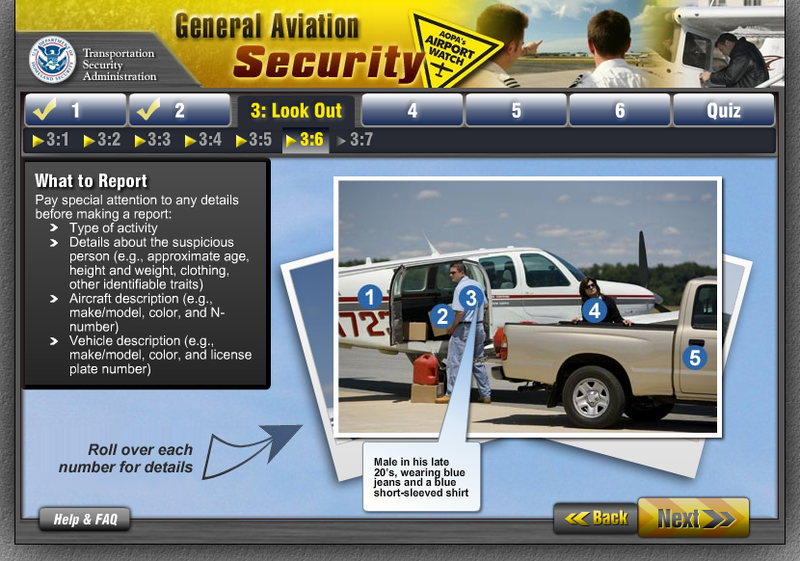 I designed this interactive course several years ago at Enforme Interactive. 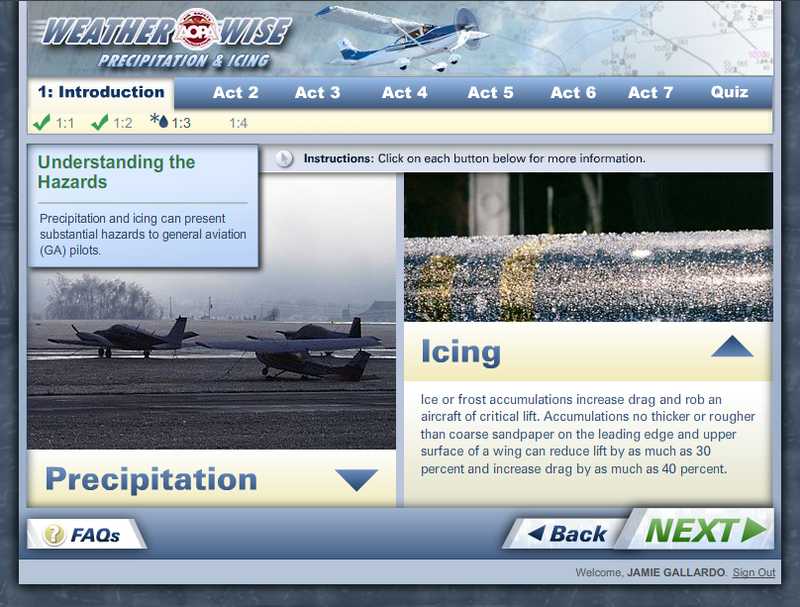 Weatherwise – Precipitation & Icing is an online course for airplane pilots designed for Aircraft Owners and Pilots Association and Transportation Security Administration. 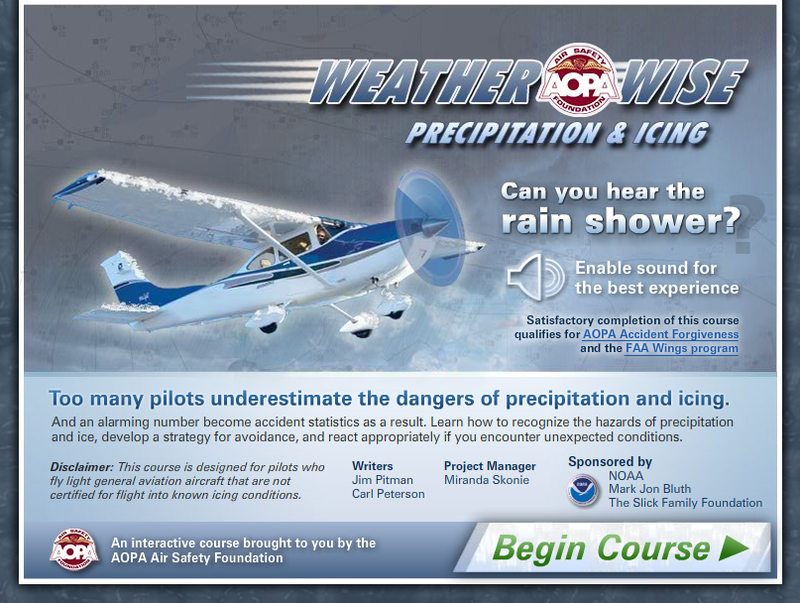 It focuses on flight safety during wintertime with information on how to handle risky weather conditions in the field of aviation. The interactive course automatically keeps track of a user’s progress and provides a certificate of completion after successfully finishing the assessment. Each page engages the user with detailed content, videos, animations, interactivity, and audio clips. 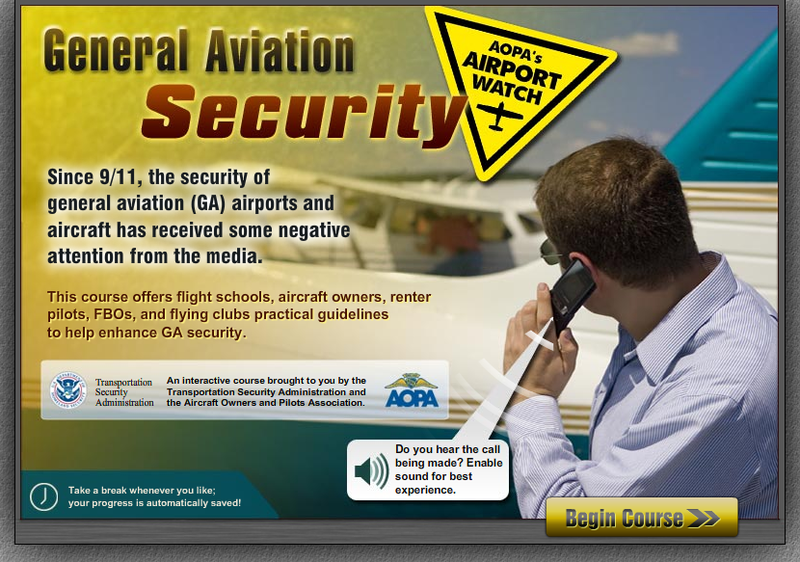 General Aviation Security is an online course for airplane pilots designed for Aircraft Owners and Pilots Association and Transportation Security Administration. 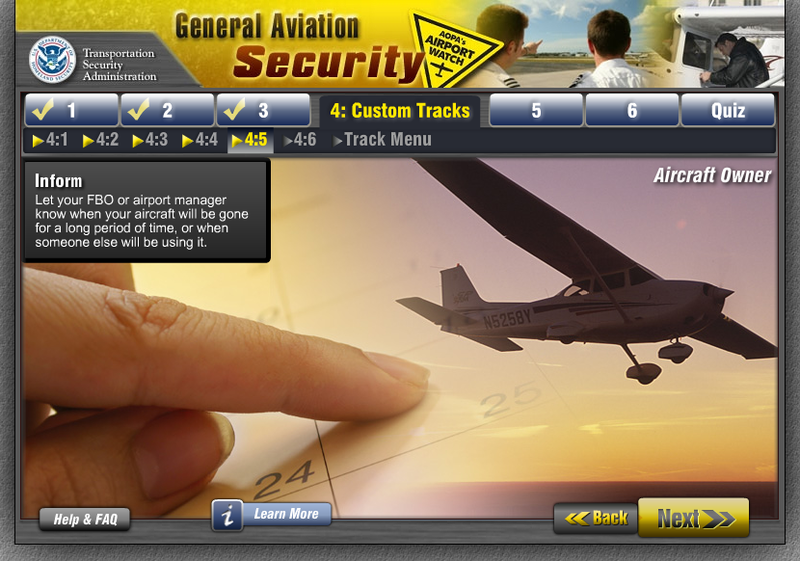 Its purpose is to educate and raise safety awareness in aviation. 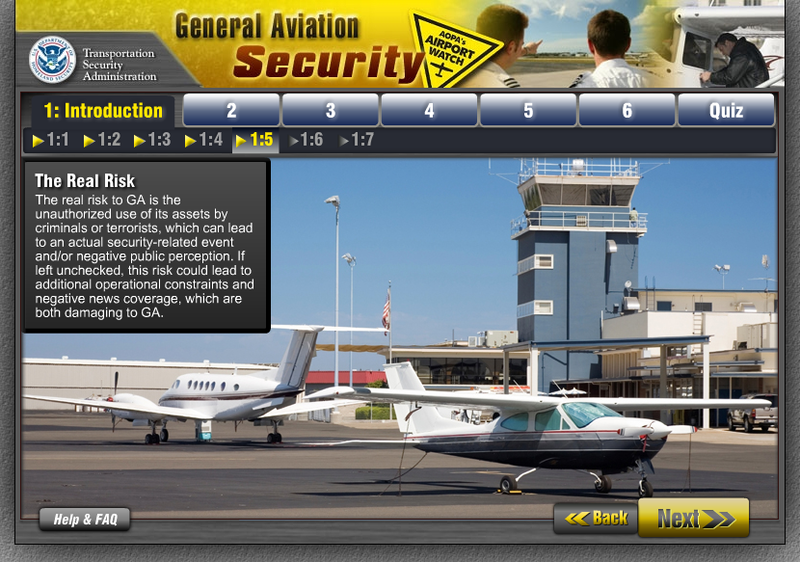 Best practices of keeping airports safe by avoiding unnecessary risks and mistakes are reviewed. The interactive course automatically keeps track of a user’s progress and provides an official certificate of completion after successful completion. Each page is designed to encourage engagement; this is accomplished by featuring in-depth content, data and facts, videos, animations, interactive elements, photography, and audio clips. Award: Best in Class (Non-Profit) - Interactive Media Council, Inc.